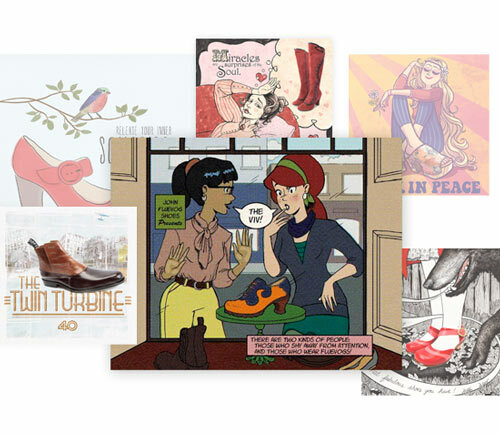 Change the future of advertising for the better, one Fluevog Ad at a time. FluevogCreative gives talented and aspiring artists the chance to create a Fluevog ad that will grace the pages of magazines around the globe. If that’s not enough, you’ll get some pretty sweet perks too. Save the World from BAdverts! What are you waiting for? Flex those creative brain cells and check out the current brief. Choose a specific brief below or, if you’re feeling ambitious, browse through all submissions.